This one came at the right time, after countless jazz releases that seem a little too perfect, a little too accomplished. That's not to say these guys are sloppy and wild, just adventurous--like in the '50s and '60s when everything seemed so new. You know the risks that are being taken, and that creates a stronger interaction between performer and listener. 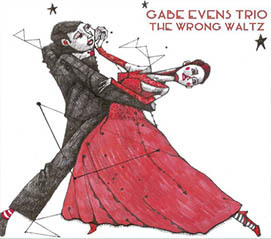 Gabe Evens is certainly no slouch when it comes to mining the history of jazz. Evens is an associate professor of jazz piano, composition and arrangement at the University of Louisville's famed Jamey Aebersold Jazz Studies Program. He's also performed all over the world. He has the chops, he's paid his dues, he's done whatever he's expected to do to earn respect as a jazz pianist. That said, his approach to these ten original tunes isn't as academic as you would think. 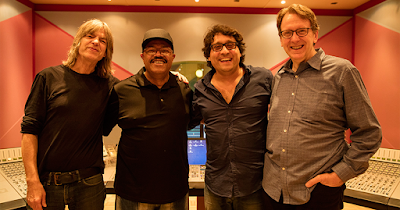 Or, perhaps, that's the point--Evens, along with bassist Lynn Seaton and drummer Ed Soph, knows that the foundations of jazz aren't grounded in logic and reason and structure. It's about catching the whirlwind and finding places no one else has been. It sounds like I'm describing chaos once again, but I'm not. The macro-structure of the music is intact, with themes and improvisations that sound fully comfortable within the be-bop canon. The inspiration is in the tiny details, especially when you take the time to isolate what each performer is doing at any given point. That's right...as a whole this sounds musical, lyrical, whatever you want to call it, but it's the Drummer's Drummer Syndrome where amazing things are happening in the margins if you know what you're looking for. The best way to sum this up is to say this is perfect jazz, which doesn't necessarily mean what you think it means. By perfect I mean it pushes you to look in the crevices and find out what's hiding in the dark. It's music that's meant for up-close and careful listening, otherwise you might just mistake this for any number of perfect, accomplished contemporary jazz releases. It's not. It's better than that. The latest installment of The Vinyl Anachronist is now live at Perfect Sound Forever. This one is about warped records, and what you can do to avoid them. You can read it here. 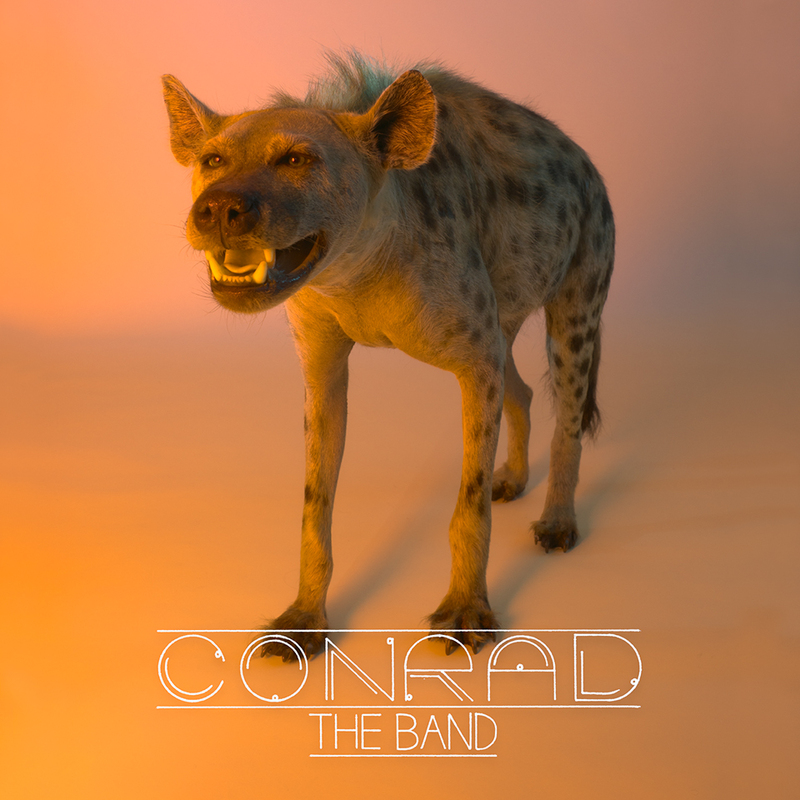 Conrad the Band's new EP, Valley Days, features a snarling hyena on the cover. That instantly makes me think of one thing, and that's the cover of Grinderman II. Grinderman, of course, was an awesome side project for Nick Cave, a chance for him to explore wilder and more chaotic musical frontiers as the front man for a true garage band. That cover, now a classic, featured a mangy, snarling wolf in a very swanky apartment featuring prominently white decor. The message was clear--this is going to get messy. Conrad the Band, or just Conrad for short, seems to be appropriating the same swagger for this six-track album. Listening to the first song, "Devil's Gonna Find You," you'll quickly discover the same garage band aesthetic--it's a catchy, rough-around-the-edges blues rock tune that'll probably remind you of the Black Keys more than Cave's outfit. 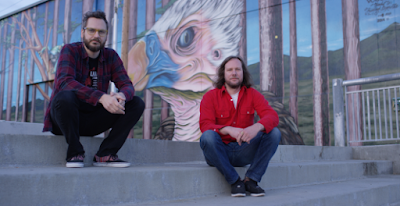 These two "old friends" from Bakersfield, Matthew Shaw and Nick Andre, do have a big chunk of that late '60s and early '70s stripped-down simplicity. It's just two guys, right? Two-man bands might be in vogue right now, but you have to be careful not to draw obvious comparisons. The deeper you get into Valley Fever, fortunately, the less you'll think about the Black Keys and Grinderman. (To be honest, the latter band is doing something completely different.) Shaw and Andre have a knack for the disheveled psychedelic pop hit, and may be more deeply grounded into the '60s than Auerbach and Carney. There's a point, in fact, where I thought about how good these songs were, and that forty years ago this type of album would be treated as something a little more substantial. These two gentleman from Nashville West aren't just wearing their musical influences on their sleeves, they're focused on the little touches that show the world who they are--right down to the thin sound of electric card that's straight out of the Buck Owens manual. There's a lot of intelligence in this seemingly modest effort. So this little side project from a couple of old friends is a little disarming merely because it is so solid and good, and in a way that seems totally off-the-cuff. Will anyone notice? I hope so, because Conrad the Band might seem like an impromptu garage jam from a couple of buddies, but it's much better than that. This one is entirely about the music. That's a strange way to begin a music review, I know, but with a 2L release there's always so much more going on than the performances. There's the extraordinary care taken during the recording process to ensure that the sound quality is state-of-the-art, there's the cutting edge technologies used to achieve that goal and finally there's a theme to explore, usually a cerebral one that's aimed squarely at true lovers of classical music. These themes can be simple, or they can be so esoteric that only a handful of music lovers would discover the intent on their own without the help of the unusually detailed liner notes. 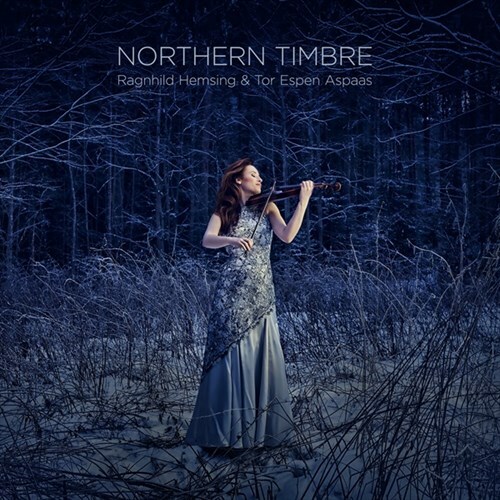 For Northern Timbre, that theme is graciously simple: Grieg, Sibelius and Nielsen are arguably the most beloved Scandinavian composers, and they influenced each other in many ways. 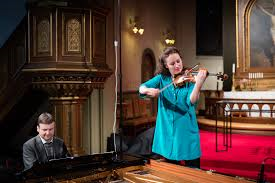 The avenue for demonstrating this hypothesis is also simple--three duets for piano and violin, played with extraordinary passion and commitment by Ragnhild Hemsing and Tor Espen Aspaas. But there's a point, perhaps a few minutes into Grieg's Sonata No. 3 in C minor. where you're so swept up by this gorgeous music that you stop listening with your brain and the clipboard with all your notes falls to the floor without you even noticing. That's the goal, of course. I've said the same thing about high-end audio for years, that you're not listening to the good stuff until you stop thinking about whether or not you're listening to the good stuff. When I review these wonderful 2L releases, I usually try to gather up as many brain cells as I can so that I can do justice to these exceptional and thought-provoking recordings and the intriguing ideas behind them. With those aforementioned themes, there are usually many layers to peel away from the onion which usually adds to the enjoyment--it's almost a multi-media approach. With Northern Timbre, I can't do that. I simply melt into the listening chair and take it all in and forget about everything else. I will say this in regards to the stated theme: as you move from the Grieg piece to Sibelius' Danses Champetres to Nielsen's Sonata No. 1 in A major, there's a certain flow that seems to reinforce the idea that these three composers were all in tune with the idea of the "Nordic Sound." I've been attracted to Scandinavian music for many years, back to the Opus3 recordings I fervently collected in the '80s and '90s. That attraction has always focused on one aspect--the ability of Scandinavian music to create vivid images of northern life, especially when it comes to the idea of a warm fireplace in a warm home in the middle of a winter storm. That stimulates the happy places in my brain. The idea that these complex emotions and memories can be triggered so readily by a mere piano and violin duet speaks volumes about the quality of the performances, as well as Morten Lindberg's affinity for recording in big warm Norwegian churches. Hemsing's violin is swift and playful and strong when it needs to be. 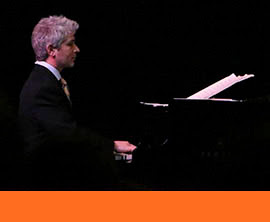 Aspaas, on piano, is an equal partner--this music is played as a true duet instead of a showcase for the violin with the keyboards acting as a rather austere foundation. Hemsing and Aspaas weave in an out of each other as if they were engaged in dance. Winter is coming, and this California boy now lives in a place where that means something. I'm looking forward to spending this winter with recordings like this that celebrate the Nordic sound, ones that are lit up from within by sheer beauty. Gotta admit that this CD didn't look promising when I first picked it up. This collection of slick, over-produced lite jazz tunes seemed a little too New-Age to me, its aim toward the ethereal far too forced. Even the title was a bit of a turn-off. 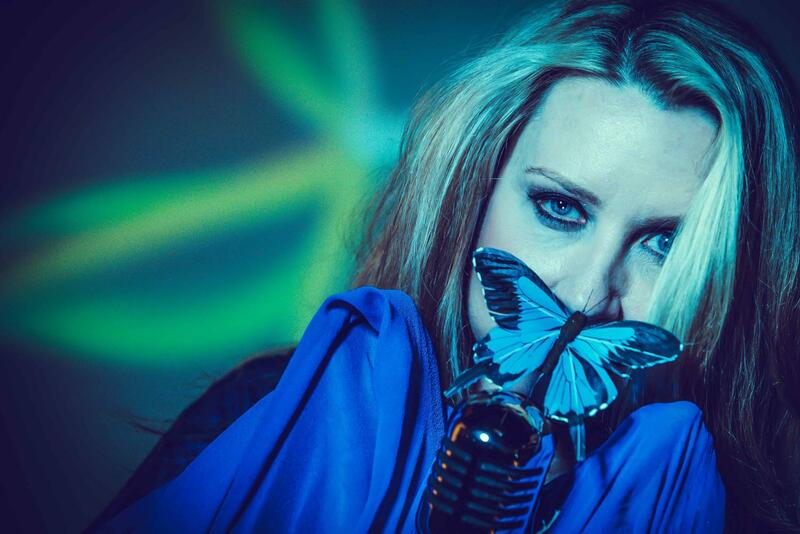 Fly away, butterfly? What is this, 1968? Slowly I started to change my mind. 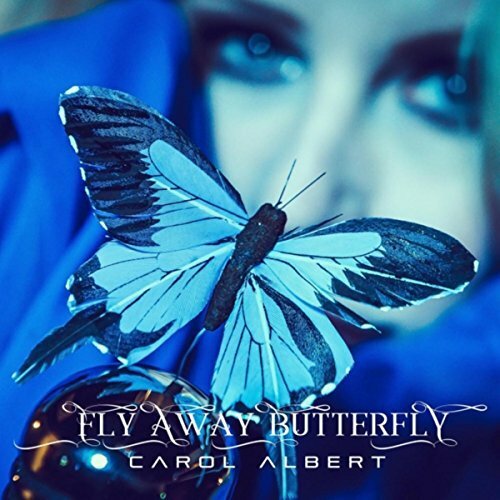 Composer Carol Albert lost her husband back in 2014 and Fly Away Butterfly is a chronicle of her grief and her return to songwriting after many years. The end result isn't bare and revealing like Nick Cave's brilliant Skeleton Tree or as honestly quotidian as Mount Eerie's A Crow Looked at Me, both released earlier this year. Butterfly is liberation, as its title implies, a moving toward happier places. While words such as "original" and "ground-breaking" will never be applied to an album like this, the optimism is contagious. I'm also impressed with the sound quality of this recording. I didn't expect to be impressed. On casual listening it all sounded too polished, a little too sharply digital, a little too bubbly and bright 1980s in its presentation. Once you sit down and give this music your full and undivided attention, you'll start to discover just how much thought and effort and feeling is hiding in the dark corners. While this music can fall prey to some of that '80s Nagel-esque slickness, Albert is adding important details here and there--distant vocals that symbolism her engagement to the world around her during the grieving process, not to mention her use of other classic songs such as "One Way," "Chasing Waterfalls" and a faithful version of "Mas Que Nada" to show that the world turns with or without her. You might as well succumb to the beat, she seems to be saying. Albert has wrapped this up in too pretty of a package, and I ultimately prefer an attitude closer to Nick Cave's--the death of a loved one can be a bulldozer that pushes you closer to the abyss. Dusting yourself off and starting over may be a healthier approach, but it's not the stuff of great art. But if you listen to Fly Away Butterfly without knowing all the back story, you may find plenty to enjoy. The Flying Horse Big Band is a juggernaut from the University of Central Florida, a large ensemble of talented musicians who have released eight albums on their own label. 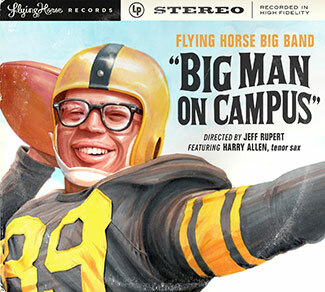 This one, Big Man on Campus, pays homage to composer Harry Allen and includes both his classic compositions and arrangements, custom-tailored for Flying Horse. That's a fairly dry description of this album, but this release is such a classy and professional affair that it's hard to stray from a reverential tone. 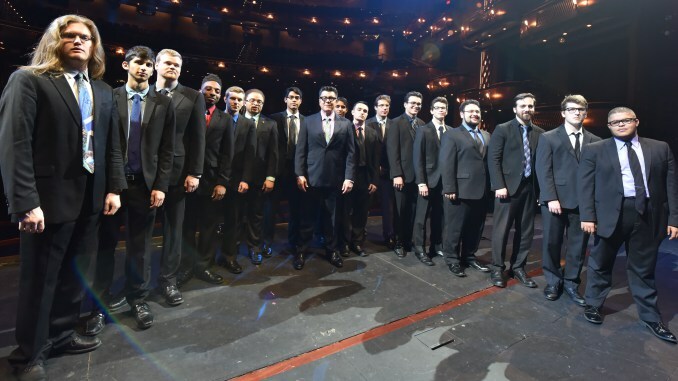 The twenty performers that share this stage are the epitome of poise, and they create music that is preternaturally perfect--for jazz, that is. Big bands aren't necessarily known for passion and improvisation and spontaneity--anyone who has seen Whiplash knows this all too well. (For a more humorous and frightening take, search out videos of Buddy Rich dressing down members of his band.) But job #1 for a big band should be working as one big well-oiled machine. 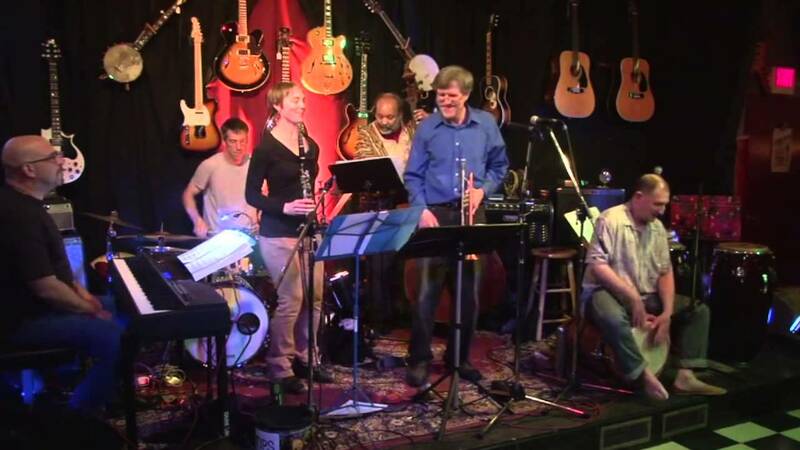 Flying Horse is that and more, saxes and trombones and trumpets all executing with perfect precision, as well as a rhythm section with organs, electric bass and guitars that keep the proceedings light and loose, but in moderation. At the center of these colorful performances is Harry Allen himself, having an extraordinary amount of fun with his tenor sax. What else can you say about a classy enterprise like this? If you prefer hearing mysterious sonic dispatches from the edges of the frontier, you might have to dig deeper than most to find the hidden treasure in this recording. I, for instance, find a great deal of joy in the breathy sounds of Harry's sax. Here he reminds me of Stan Getz at his most relaxed, ready to swing. Other than that, Big Man on Campus is a rarity, a modern big band recording delivered with love, dedication and talent beyond reproach...in 2017. This old gem from the Book of Ecclesiastes is particularly apt when it comes to contemporary jazz. So much of the scene is devoted to preserving the past, known affectionately as the Great American Songbook, especially if you can pay homage by merging two different styles of jazz—ragtime/salsa, be-bop/lite, whatever you got. It’s slapping puzzle pieces together. There’s nothing wrong with it as long as you’re having fun. But when is the last time you’ve heard something fresh and new in the world of jazz, a music that sounds perfectly original and contemporary instead of reverential? I submit the Julian Gerstin Sextet as exhibit A, your honor. Gerstin is a percussionist who mixes beats from Martinique, where he studied for years, with an eclectic portfolio of music styles from Cuba, Turkey, Bulgaria, Brazil, Nigeria, South Africa and Egypt. It all makes sense on paper, all these rhythm-heavy cultures coming together and producing a satisfying and unique beat. But this is a little more complicated than blue plus yellow equaling green. 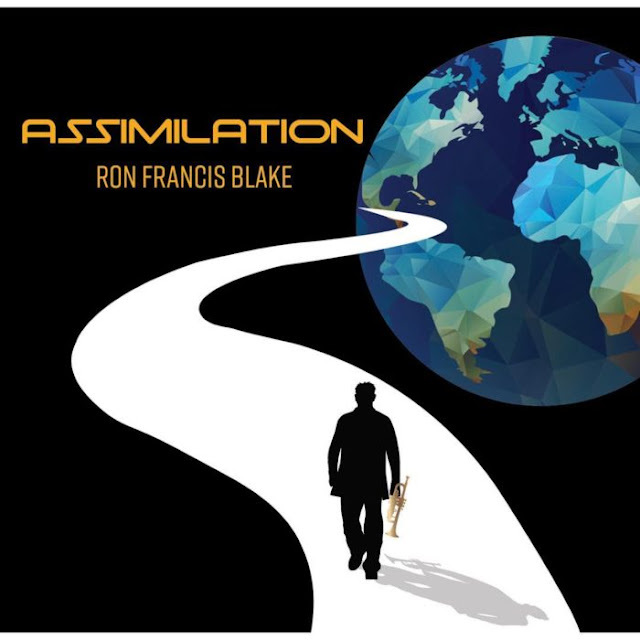 This is simply one of the most original and distinctive sounding jazz releases I've heard in a while, and not because it is strange or "out there." This is unusually melodic jazz, full of beauty, held together by Gerstin's percussion. He specializes in a relative rare drum called the tanbou, which can be played with both hands and feet. But it's Anna Patton's expressive clarinet and Don Anderson's trumpet and flugelhorn that bring the sheer beauty to these original tracks. It's these two musicians who act as a bridge between Gerstin's African and Caribbean beats and these emotional Eastern European melodies. 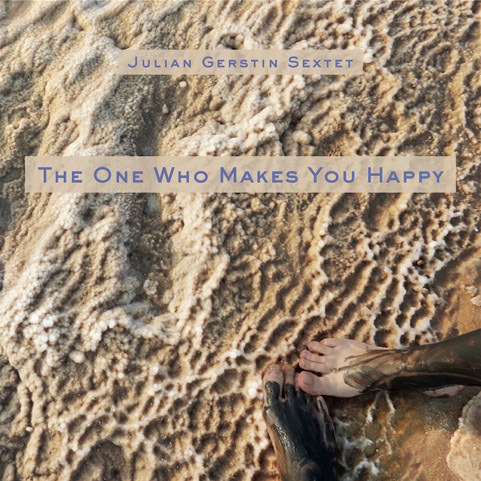 The recording quality of The One Who Makes You Happy is excellent. Gerstin's percussion has that unique slap of flesh upon drum head, guttural and earthy. Wes Brown's bass is unusually clear and lively and provides, as it should, an agile anchor for this moving and memorable music. Highly recommended. Jazz cimbalom? Or, for the more folk-inclined, the hammered dulcimer? The instrument doesn't come up a lot while discussing jazz emnsembles. 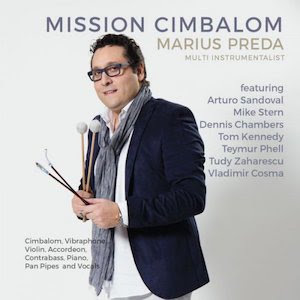 Marius Preda would like to change that with this new CD, appropriately titled Mission Cimbalom. Preda also plays vibraphone, violin, accordion, contrabass, piano and the pan flute. He sings, too. But it's the cimbalom that's in the spotlight for this release, with its quick hammered tempos and light textures it makes just as much sense as either the piano or the vibraphone--at least in the context of jazz. Preda's love for the cimbalom dates back to his fourth birthday when he received the instrument as a gift from his grandmother. He loved the instrument and spent most of his early years learning it and refining his technique. When he was older he took up the vibraphone, and the mastering of that instrument led him back to his childhood toy. Playing jazz vibraphone prompted a few new ideas about playing the cimbalom, inspiring Preda to become the "world's first jazz cimbalom player." Much of Mission Cimbalom addresses this theme, that the jazz cimbalom is far more than a novelty. The sound and timbre of the instrument is especially impressive as the speed of the hammering increases and the woody sound of striking strings starts to jump forward, away from the other musicians. That's when the cimbalom takes on a new roll as the bridge between rhythm section and soloist and sometimes replaces both. Since he's surrounded by eight other musicians, Preda does get a chance to perform in different roles with completely different energies and moods. That's particularly obvious when he shifts away from the cimbalom to play tango with his accordion, or to single a quiet ballad while accompanying himself on piano. Mission Cimbalom does tend to distance itself from its titular musical instrument as it goes along, but the album also settles into a more solid groove in the later tracks. Early on I get a heavy sense of the emerging '90s nostalgia, plucked electric bass and a deepening dependence on "pretty" synthesizers that seems to be slipping into more and more recordings these days. Perhaps we can expect more focus on the cimbalom in the future, and its ability to dig in and represent jazz. I think Preda makes an outstanding case for a leading role. 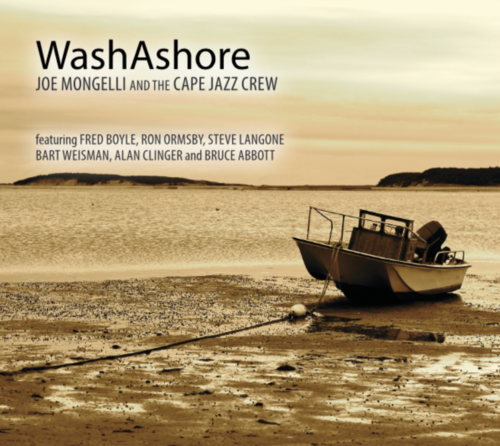 If the name of a jazz ensemble is Joe Mongelli and the Cape Jazz Crew, the new CD is titled "WashAshore," and the album cover features a small boat that has indeed washed up on a shore in Cape Cod, you're probably going to think this music is going to be really, really mellow. And it is. That's not necessarily a bad thing. Think "mellow jazz" and you might conjure words such as "boring" or "vapid" or even the dreaded "lite jazz." This new album from trumpeter and arranger Joe Mongelli is a different type of mellow, one you can explore with both sides of your brains. 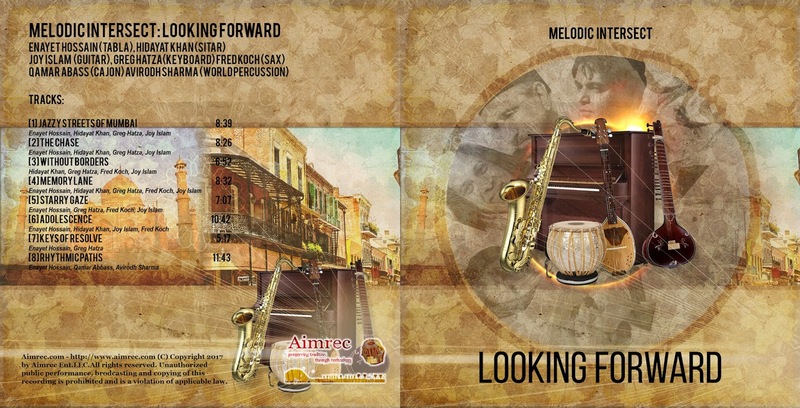 While these ten tracks are all old standards such as Ellington's "I Got It Bad" and Bacharach's "Alfie" and Milt Jackson's "Bags Groove," Mongelli is known for his thoughtful and distinctive arrangements. 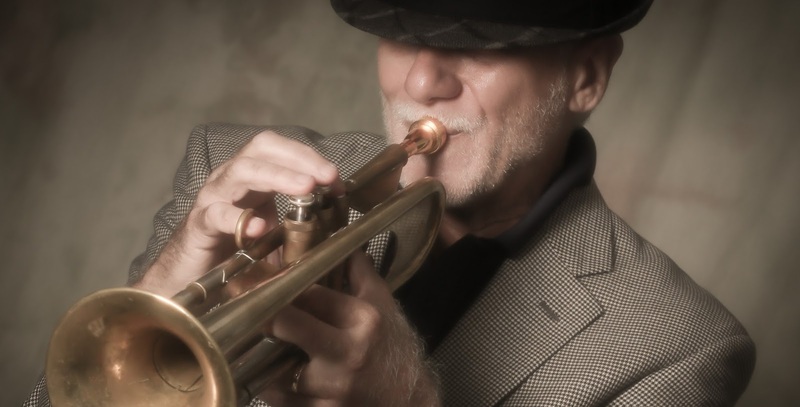 His dedication to this side of the process had to do with an injury (the liner notes don't elaborate) that sidelined him as a classical trumpet player for thirty years. During his convalescence he honed his songwriting and arranging skills and even experimented in electronica, pop and other genres before centering on jazz. That career diversity theme certainly isn't plastered all over this album, but you do get the sense that Mongelli takes every genre with equal seriousness. Joe and his band--pianist Fred Boyle, bassist Ron Ormsby and drummers Steve Langone and Bart Weisman--play it pretty much straight when it comes to delivering sultry and lush jazz. They are being inventive and thoughtful with arrangements, but not revolutionary. This is the stuff of cotillions, swanky nightclubs, the type of wedding that set back the bride's father six figures, but that's not a knock for not taking risks. Mongelli and his crew are precise and polished, yes, but they've backed into something deeper and more thoughtful, a sound that is both hypnotic and flattering to the jazz fan's intellect. He has big and vibrant ideas, but they always make sense. Mongelli also serves as producer, and he does a credible job with creating a big sound for an intimate jazz ensemble--the stage feels like a warm and well-lit cocoon, round and big. When Mongelli plays a muted horn it can be just a touch forward, but that's what muted horns do. It's otherwise a soothing album with a big heart and plenty of drive, the kind of music that makes you think about forgetting about thinking.